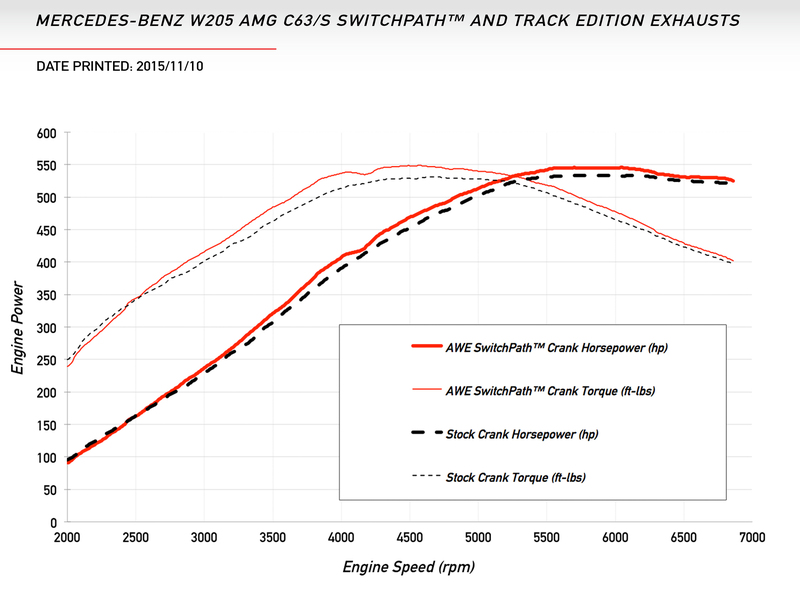 Enhance the performance of your Mercedes Benz C63/S AMG [W205] with the Tack Edition Exhaust System from AWE Tuning. This exhaust is not for the faint of heart, just hearing this exhaust at idle will get your heart racing. 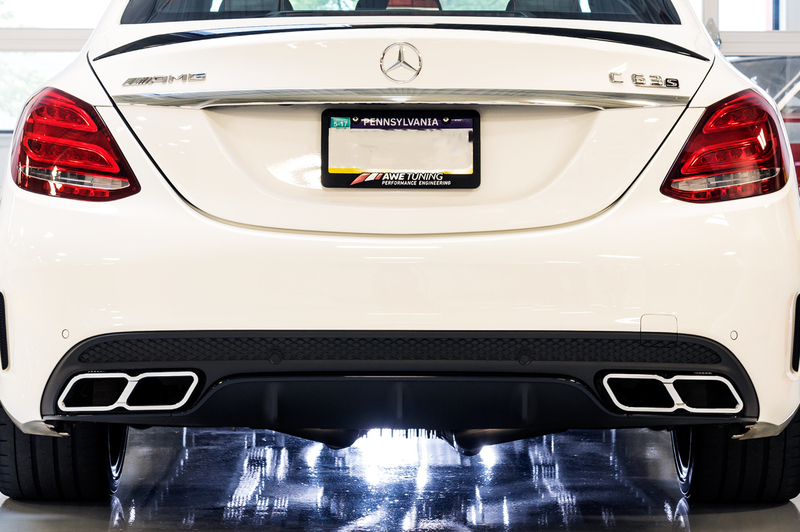 Track Edition's aggressive exhaust note will ensure that your car gets noticed. 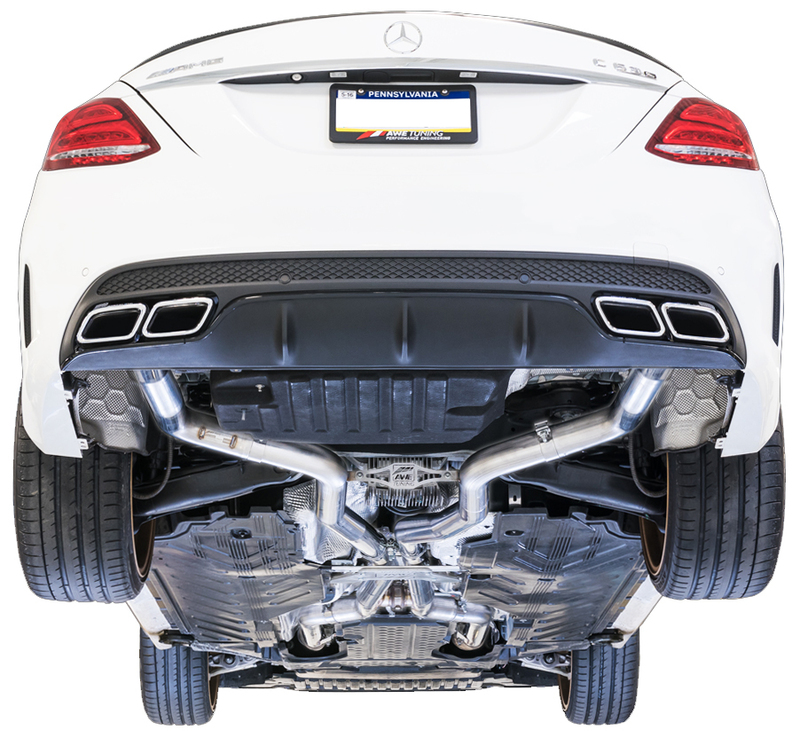 The performance gains that you'll receive from this exhaust system will ensure that you stay ahead of the competition. 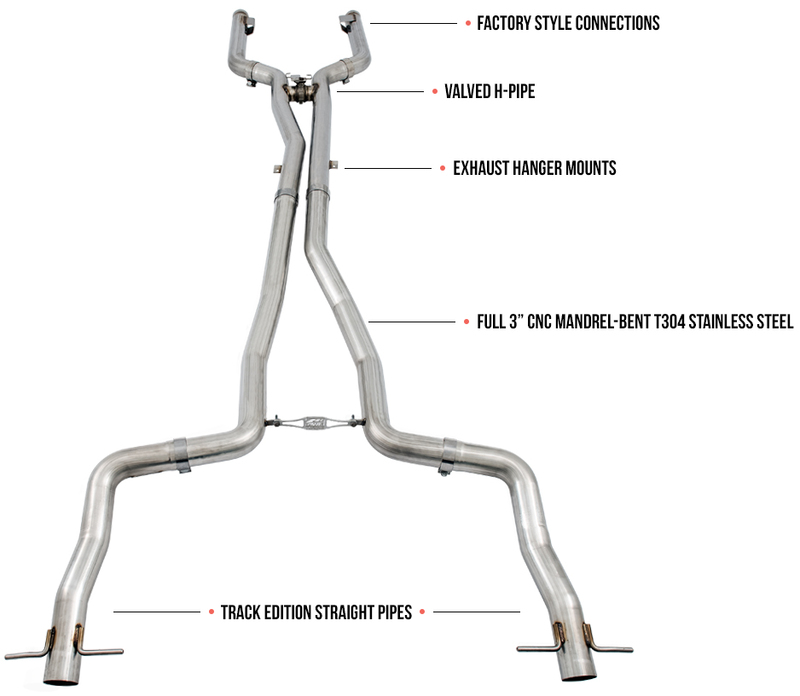 The Track Edition Exhaust System has the same quality, construction, and performance as the SwicthPath Exhaust minus the resonated valves. This exhaust system is definitely not for the fain of heart. Just hearing this exhaust at idle will make your heart start racing. The valved H-pipe is part of the package, controlled automatically by the factory electronics. AWE Tuning Machined Exhaust Tips are available in three finishes: brushed silver, chrome silver, and diamond black. Guaranteed to fit all C63/S AMG [W205] that are equipped with the factory bumper, and make for a quick and easy installation. Please Note: This Track Edition Exhaust System is the most pronounced in the mid range and cannot be returned due to its sound (this system is about commitment, and for those who like it loud).